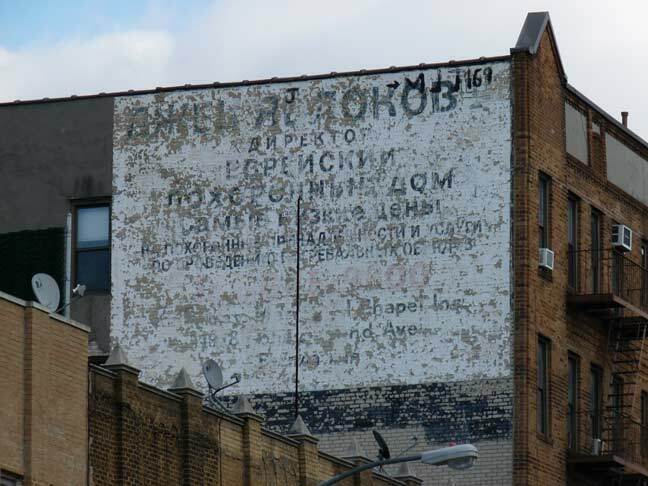 Here’s a faded ad on Brighton Beach Avenue just east of Coney Island Avenue in Cyrillic characters in what I’ll presume is Russian. It says “Sign up here for welfare, unemployment, food stamps, and disability benefits – all courtesy of greedy American capitalists.” Just kidding – Happy New Year! 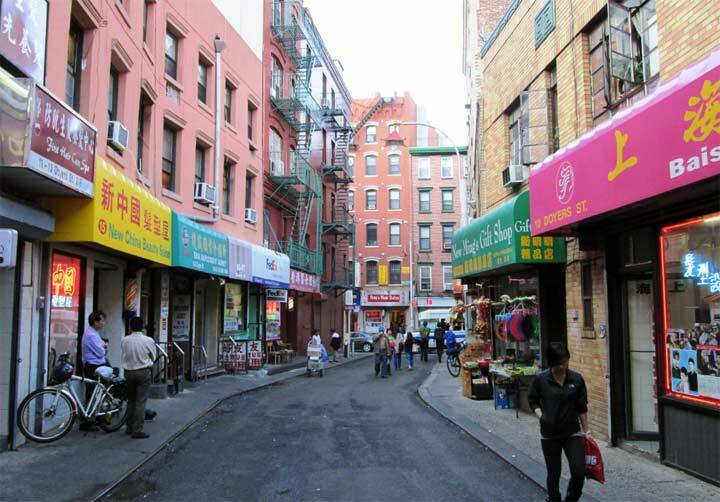 “Many a true thing is said in gest”. How ironic that Soviet Communists lost the Cold War so that American leftists could dominate the Culture War through modern marketing doctrine. We have seen the future & it’s not working. Then list of things offered; hard to read. Look up Yablokoff Funeral Home for more info. I can about make out the words “director” and “funeral home,” but the rest is too faded (eyes 6 inches from screen).